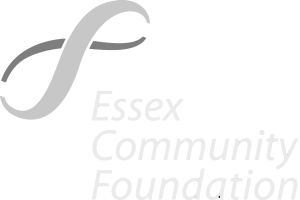 We are very excited to announce that we have successfully been awarded funding by the Women and Girl’s Initiative (Big Lottery Fund) to develop an Independent Stalking Advocacy Team to create a Stalking Advocacy Service in South Essex, covering the areas of Basildon, Brentwood, Castle Point, Rochford and Thurrock. A team of Stalking Advocates, led by a Senior Stalking Advocate will be a first of its kind in Essex, and will provide emotional and practical support to victims of stalking, including supporting legal remedies through the new legislation which is established to protect victims of stalking. Given that the estimated charge rate for stalking is 1% and harassment is 16%, and that 80% of the service users who we have supported and who have fled from their abusive partner/ex-partner advise us that the perpetrator continues to stalk and harass them and their children for a considerable period after they have ended the relationship (from anywhere between 2 years and over 20 years), Changing Pathways knew we had to offer a specialist service for this insidious form of abuse. Stalking is one of the most frequently experienced forms of abuse set around parameters of fixations and obsession. It removes freedom and destroys lives. One in two domestic stalkers, if they make a threat, will act upon it and one in ten stalkers who had no prior relationship with the victim, if they make a threat, will act upon it (Mackenzie, et al, 2009). For too long, domestic abuse providers have tried to stretch their capacity and limited resources to meet the needs of victims of stalking and harassment. In many cases this has also extended to supporting the victims’ circle of family and friends as the perpetrator has also targeted them. This is an impossible challenge, and one which also places practitioners at increased risk. The team will support cases where there has been an intimate relationship with the perpetrator, and they will also work with victims where there has been a tenuous/unknown link to the perpetrator. The practitioners will be accredited to work with victims where the stalking and harassment takes any form, from physically following the victim to cyberstalking to the perpetrator using their network to harass the victim. In addition to achieving funding for the Stalking Advocacy Project, Changing Pathways have also been awarded finance for project evaluation research purposes. We have connected with national organisations such as Paladin, Protection Against Stalking, Veritas and the Suzy Lamplugh Trust to strengthen our collaborations in tacking this most impactful crime. Over the next few weeks we will commence recruitment to the team (see our jobs page for JDs and how to apply) and we will commence this vital work in the summer. Please keep visiting our website for more details and look out for our literature for information on how to access the service.